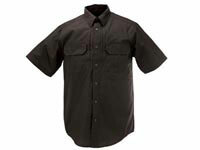 5.11 Tactical 5.11 Rapid Assault Shirt, MultiCam, XL. XL. The 5.11 Rapid Assault Shirt, MultiCam is a durable ½ zip front pullover that offers maximum comfort and superb range of motion. 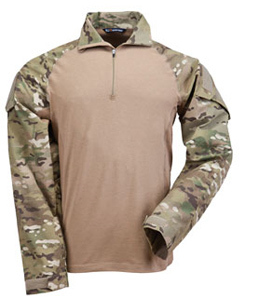 This high quality shirt features a cotton, polyester, and spandex knit body with camouflage cotton and polyester ripstop sleeves and collar. 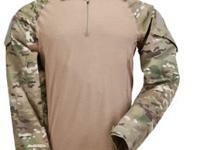 The mesh panels of this shirt allow excellent breathability under skirmish body armor. 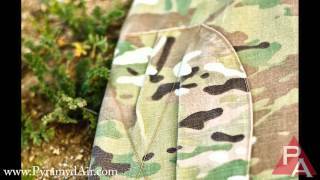 The 5.11 Rapid Assault Shirt, MultiCam is an excellent value for airsoft enthusiasts who are looking for a functional and well ventilated shirt to wear in the battlefield. Order the genuine article today!